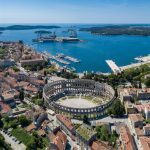 Pula to Rovinj Twin Centre Holiday Package [2019 / 2020] - Book Today! 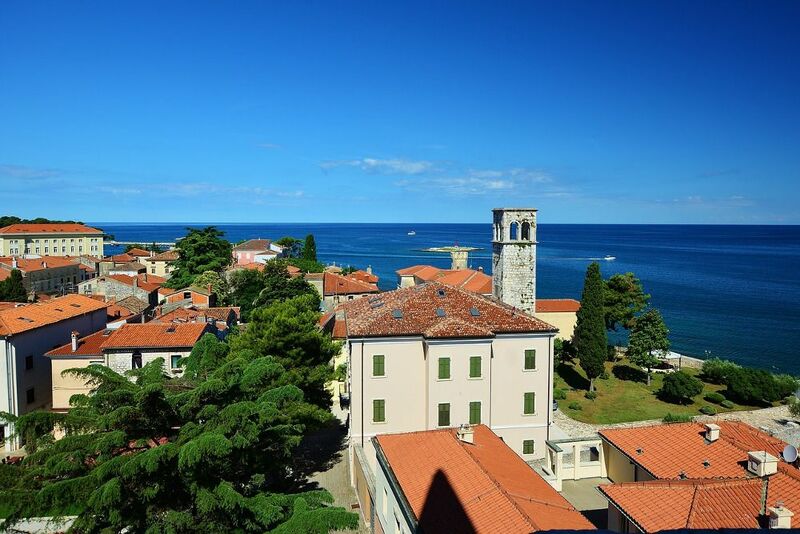 DISCOVER THE COASTAL TOWNS OF PULA AND ROVINJ, SET IN CROATIA'S ISTRIAN PENINSULA, OVERLOOKING THE ADRIATIC SEA. 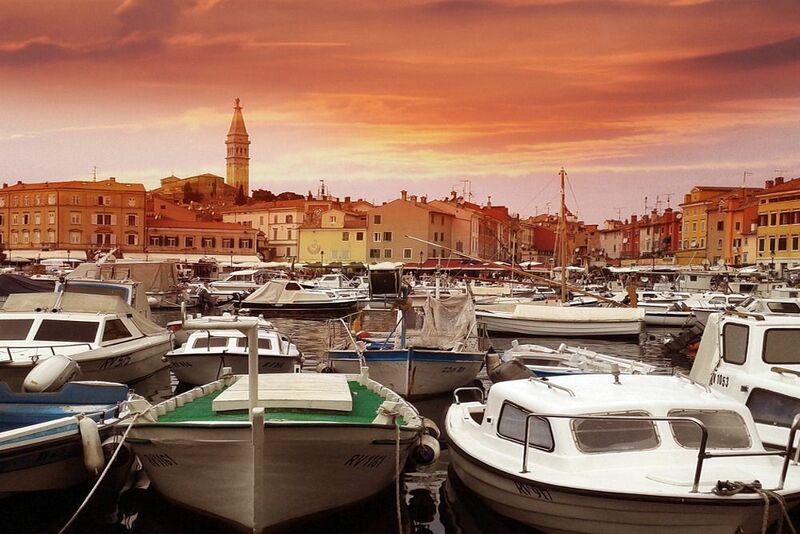 Croatia’s stunning coastlines and architecture are no longer a well-kept secret. Thousands of tourists flock to the country each year, making it the 15th most popular tourist destination worldwide. 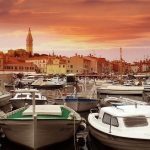 This seven-day twin-centred itinerary is perfect for those who want to really immerse themselves in Croatian culture, but at the same time avoid some of the busier destinations like Dubrovnik. 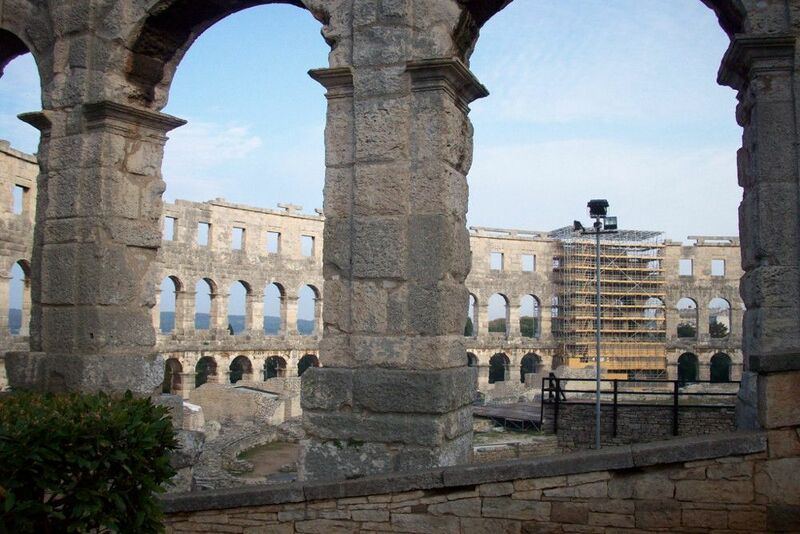 This tour focuses on the coastal towns of Pula and Rovinj, located in the north of Croatia, on the Istrian peninsula. 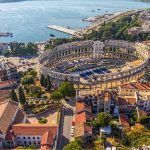 Here you will discover the region’s Roman and Venetian heritage, explore ancient architecture and monuments, and enjoy spectacular coastal scenery around the clear Adriatic waters. 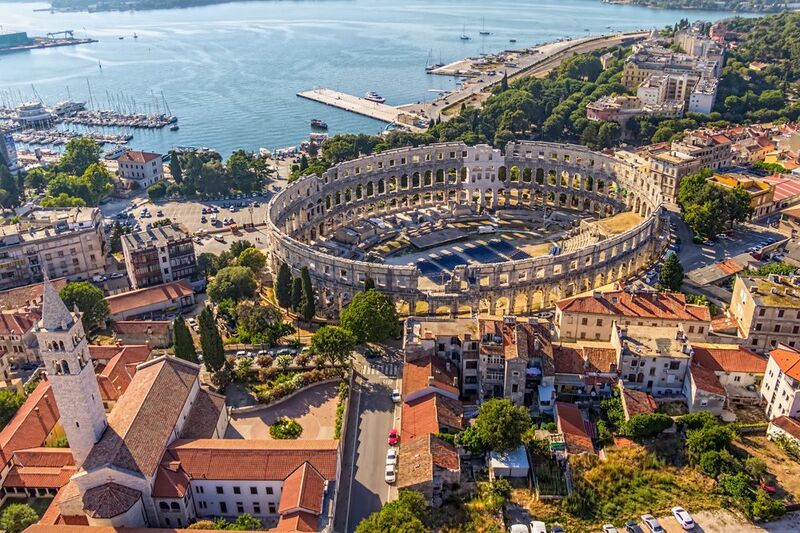 Pula is an ancient city with buildings dating back over 2000 years, set in a scenic hillside location. Yet despite its ancient heritage it hosts various film and arts festivals throughout the summer, making it a place where the old and new collide. Rovinj is a fishing town with an active port, and a network of cobbled streets leading to the hilltop church of St. Euphemia. The town is surrounded by pebble beaches, picturesque bays and islands. Note: A minimum of 2 people for each booking is required. *Optional trips can also be added to the proposed itinerary – please ask one of our team members, who will be happy to discuss these options with you. Welcome to Croatia – we hope you had a good flight. 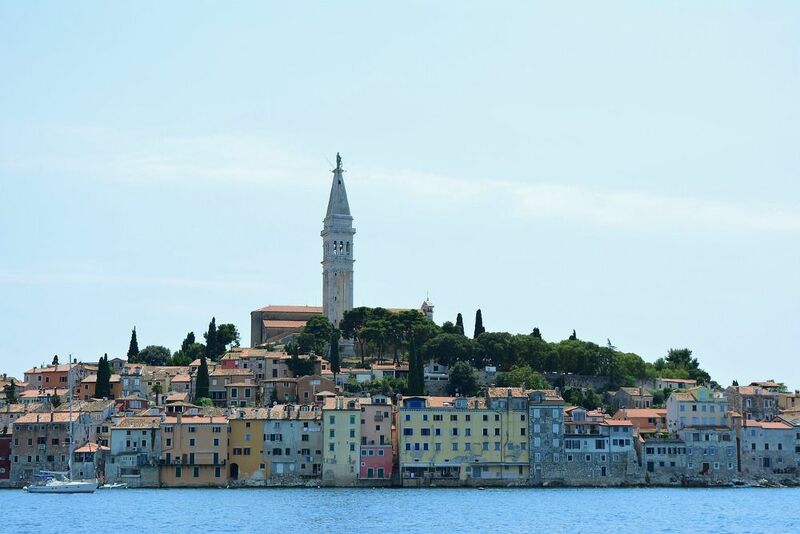 Your Croatia tour begins with a transfer from Pula airport to the nearby town of Rovinj. One of our drivers will collect you in a private taxi, and the journey should take around 40 minutes. 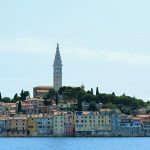 Upon arrival in Rovinj, you will check into the hotel located in the town centre, and within easy walking distance to shops and cafes. 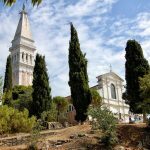 After breakfast in the hotel you will meet with your tour guide who will take you on a tour of Rovinj, where you will see the Church of St. Euphemia with its marble altar and Euphemia’s sarcophagus. Rovinj was once governed by the Venetians, and this is apparent in the architecture all over the town. In the clock tower in the square you can see the winged Lion of St. Mark, which is the symbol of Venice. We will also stop at the port where you can stop in a beautiful restaurant or cafe and enjoy the views of the fishing boats, coloured houses, and all the people walking by. Travel on a relaxing boat trip to the breathtaking scenery of Lim Fjord. For those who enjoy physical activity, you can climb 100m to the top of the surrounding hills to enjoy panoramic views across the valley, or go mountain-biking on one of the numerous trails. If you prefer to take things easier, you will enjoy sampling some of the locally farmed shellfish at one of the bay’s restaurants. If all that touring hasn’t tired you out, we recommend a sunset walk to Monkodonja, a Bronze Age archaeological site atop a hill, just outside Rovinj. From the top you have excellent views across the little islands of the Adriatic. 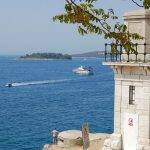 After breakfast, you will check out of your hotel, and we will transfer you to your hotel in Pula, approximately 40 minutes away. 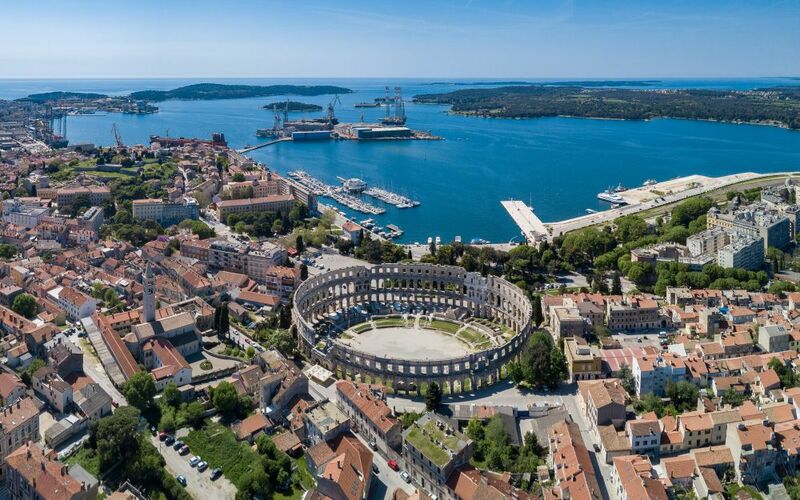 You will have the afternoon and evening to explore Pula at your own leisure. Overnight at the hotel in Pula. 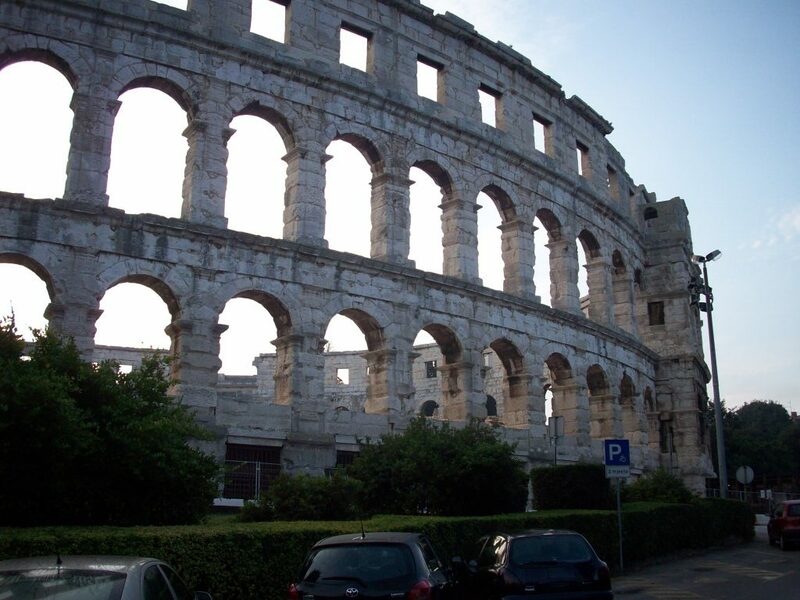 After breakfast, join us on a guided tour of Pula’s Roman heritage, widely regarded to be some of the best examples of Roman architecture, outside of Italy. Discover the main square, which was once a Roman Forum and still holds outdoor meetings and concerts today. You will also see the Temple of Augustus, the Arch of Sergius, and various other Roman monuments. 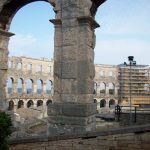 Pula’s impressive Roman Arena is one of the most complete surviving theatres in the world, and is even more remarkable, considering the building is 2000 years old. 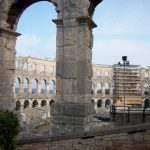 In the past, it would have been filled with 20,000 spectators watching Gladiators in battle, and you can still see the network of underground passages which the Gladiators used In the medieval period, the arena was used for knights’ tournaments, and today it is still used for concerts, markets and sporting events. 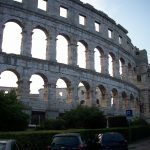 After visiting the arena, the afternoon will be spent learning about Croatian and Istrian wine production, visiting one of the many hillside wineries, and sampling some of their produce. You will have your final morning free to do some last minute shopping, or to have a final wander around the town, before we pick you up from your hotel and drop you off at the airport for your onward journey. Hop the border into Slovenia – tour around the capital Ljubljana, or travel on to the fairytale Lake Bled. Scuba diving & Exploring the wreck of the SS Baron Gautsch. 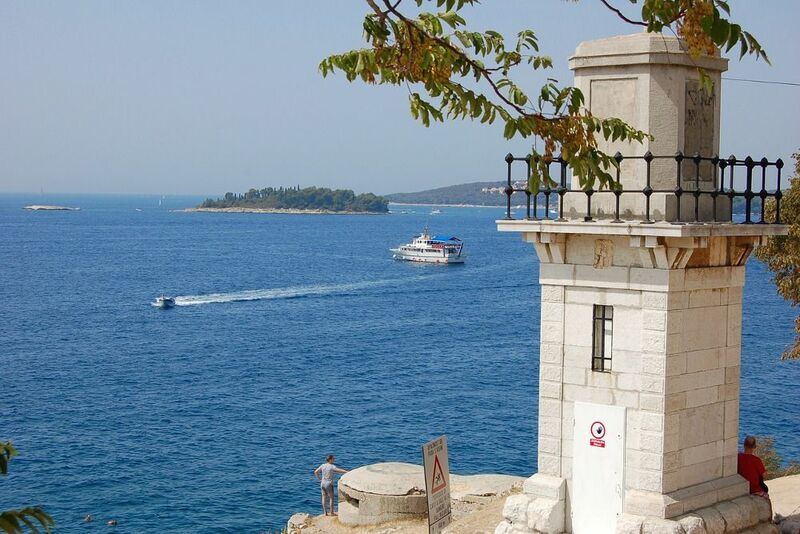 Brijuni – a group of fourteen small islands, famous for their natural beauty. 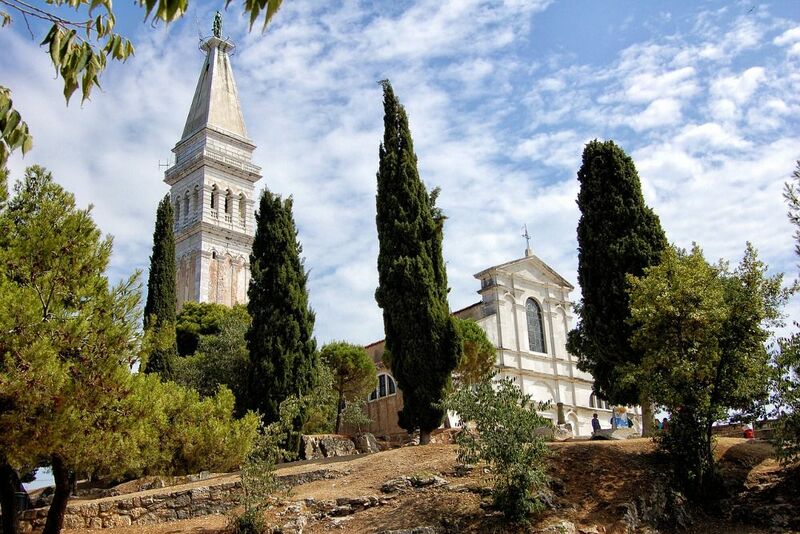 Explore Zadar – The oldest city in Croatia, with Roman ruins and cosmopolitan cafes. Plitviče Lakes national park – a must-see destination with stunning waterfalls and canyons. Explore Zagreb, the country’s capital – renowned for its museums, cafes and nightlife. Učka nature park – a national park with hiking, canyons, waterfalls, wildlife and historic sites.